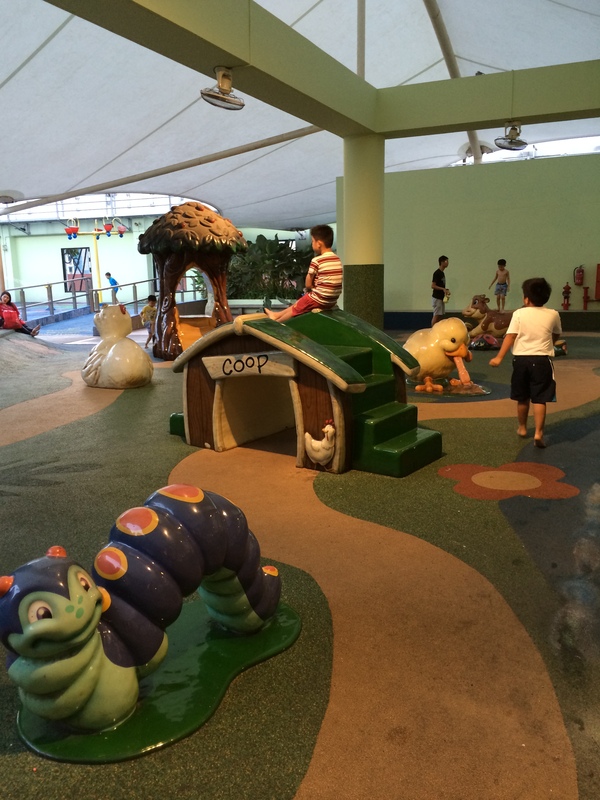 On level 4 of Northpoint shopping mall at Yishun MRT station is a large Children’s Playground, separated into wet and dry areas. The dry area is always full of children aged about 4-7 running around which can be dangerous to little toddlers. This area is sheltered from the sun and the rain and is well ventilated. 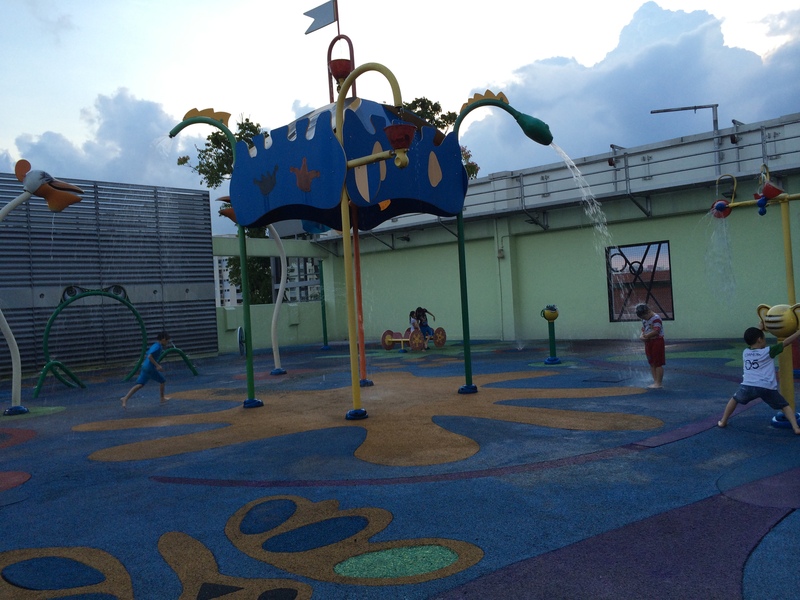 At the wet areas, there are large water structures for the kids to play at This area is not sheltered. 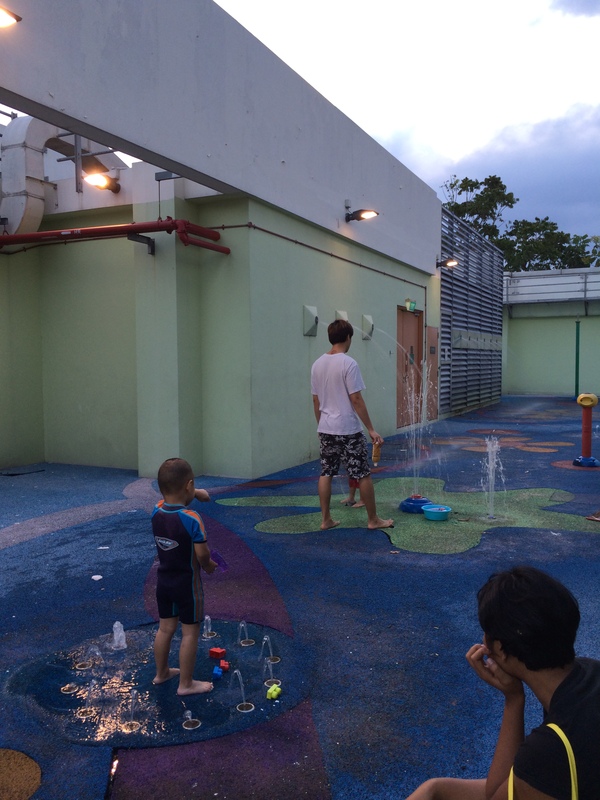 There is a Toddler’s section at the wet area too where the toddlers would enjoy themselves, more compared to the main wet area. After playing, you can shower at the open shower area, but it is really quite dirty as shown in the picture. You can go and change up at their many nursing rooms in the building at levels 1-3 neaxt to the toilets, or simply just dry up and go for a shower at home.